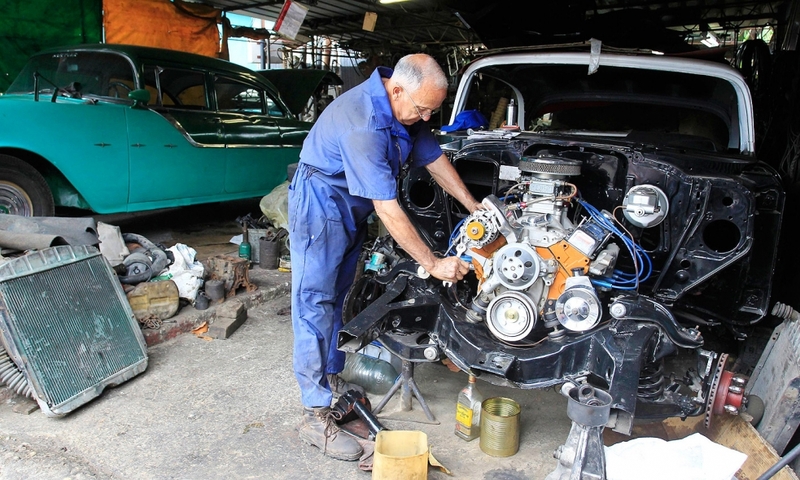 Santiago Rodriguez, 63, a car mechanic, repairs a 1957 Chevrolet in his workshop in Havana on Dec. 25. Around 60,000 vintage cars have run on Cuba's roads since before the 1959 revolution led by Fidel Castro, but finding a collectible of value is a challenge. 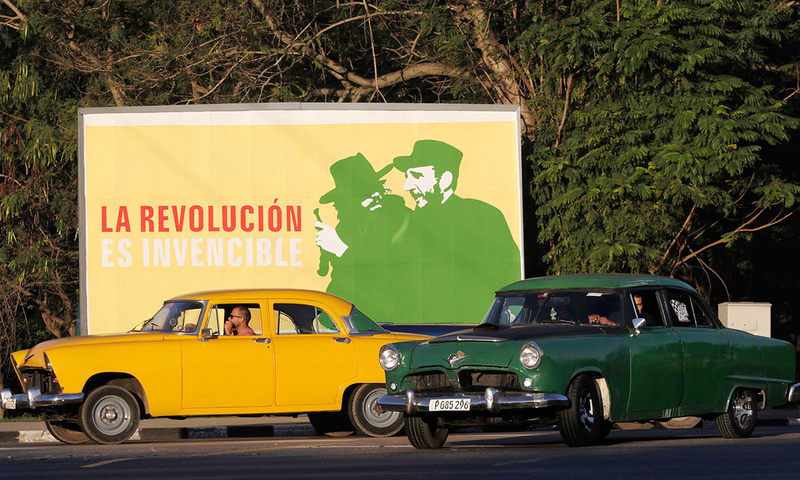 Vintage cars drive near a banner with an image of late Cuban rebel revolutionary Camilo Cienfuegos, left, and Cuba's former president, Fidel Castro, in Havana on Dec. 23. 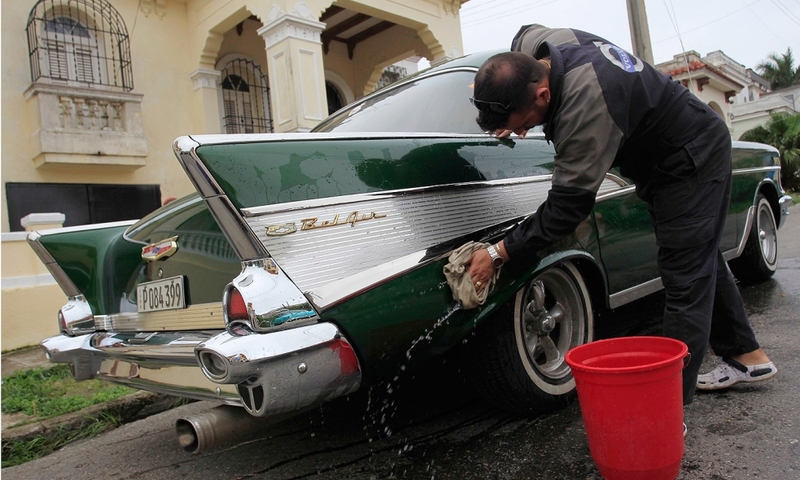 Luis Abel, 26, cleans his 1957 Chevrolet Bel Air on Dec. 25, in a Havana neighborhood. 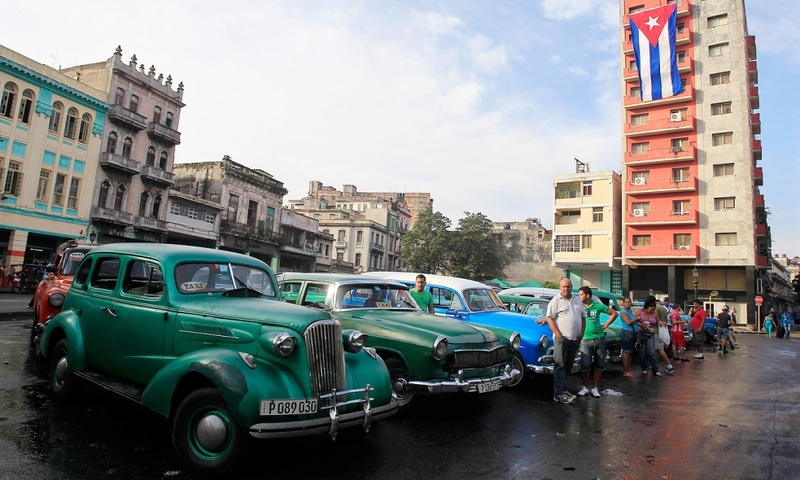 Vintage cars used as taxis line up on a street in Havana on Dec. 26. 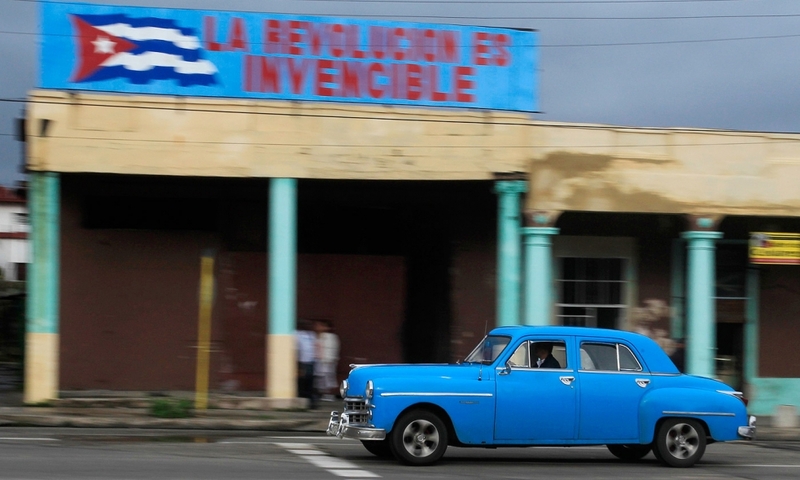 A 1949 Dodge used as a taxi drives under a banner reading "The revolution is invincible" in Havana on Dec. 25. 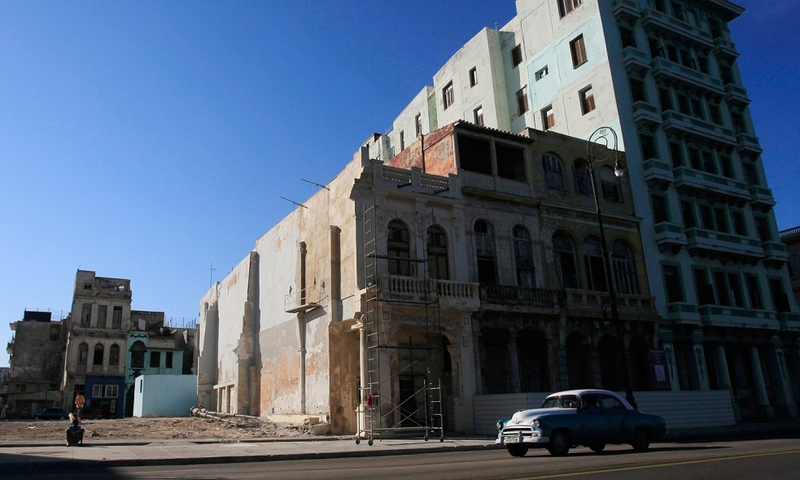 A 1952 Chevrolet used as a taxi drives along Havana's seafront boulevard "El Malecon" on Dec. 23. 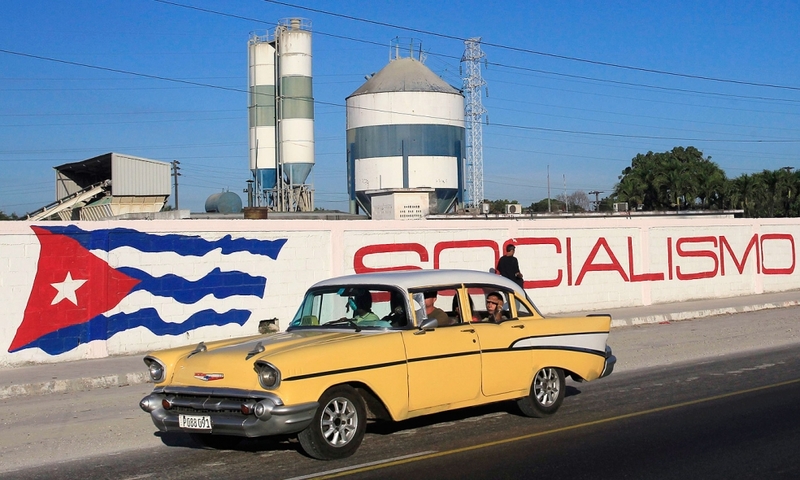 A 1957 Chevrolet drives past graffiti with a Cuban flag in Havana on December 23. Around 60,000 vintage cars have run on Cuba's roads since before the 1959 revolution led by Fidel Castro, but finding a collectible of value is a challenge. 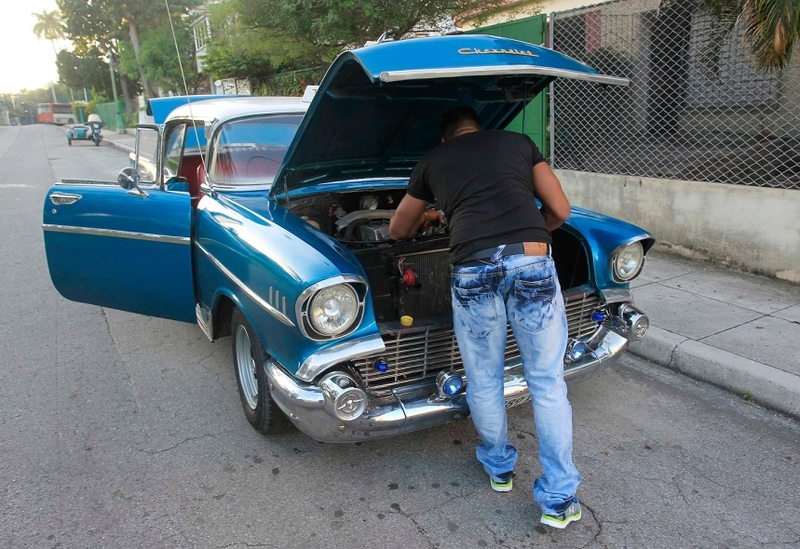 An unidentified man repairs a 1957 Chevrolet on a Havana street on Dec. 23. American collectors who envision a wave of classic cars coming onto the market will need to temper their expectations. Even if the U.S. completely lifted its trade embargo, a 2010 Cuban law bans cars being taken off the island.